Vacuum casting is the process of smelting, pouring and crystallizing metal in vacuum chamber. Vacuum casting can reduce the gas content in metal to the minimum and prevent metal oxidation. With this method, special alloy steel castings with high requirements and titanium alloy castings which are easy to oxidize can be produced. The cost of vacuum casting is high, and it is usually used for smelting alloy and high quality castings with high vapor pressure and easy loss of volatilization. Molds should not contain volatiles. Vacuum casting is generally divided into two forms: vacuum suction casting and vacuum die casting. (1) when the rate of finished product is high and the casting quality is good, the filling of metal liquid is stable, the slag and spatter are less, and the defects such as gas hole and slag inclusion are reduced, and the rate of finished product is improved. In addition, low pouring temperature can be used for pouring so as to refine the casting grain and improve its mechanical properties. (2) good filling performance. 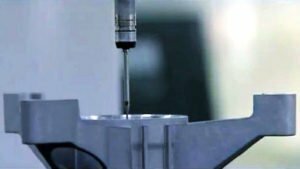 During suction casting, the pressure inside the mold cavity is small and the filling speed is adjustable, so the filling ability is strong and the thinnest part of the casting can reach 0.3mm. (3) greatly improve the utilization rate of metal liquid and the rate of technological production. (4) simplify the process and reduce the cost. (5) it is easy to realize mechanization and labor productivity is high. Compared with the ordinary investment casting process, each module can be assembled more wax mold, which can generally increase the production of 85% to 135%. Vacuum casting is suitable for mold casting, ceramic casting, shell casting, gypsum casting, graphite casting and sand casting. It can be used for the production of complex thin-walled castings, such as aluminum alloy, magnesium alloy, titanium alloy, stainless steel and high temperature heat-resistant alloy, with the average wall thickness less than 5mm, and the castings with single casting weight less than 100kg. Steel, Brass, Copper, Stainless steel,Carbon steel, stainless steel, brass, bronze, cooper, Plastic, Aluminium, POM, Delrin, Titanium Alloy etc. Zinc plating, Anodization, Chemical film, Powder, Passivation, Sand blasting, Brushing & polishing etc. Machining, Turning, Milling, Stamping, Casting, Investment casting,Sand castings, Die castings. No agents, no trading company, reduce all necessary cost for you. Direct communication with our engineer. Many years foreign customers service experience. The products offered by us are thoroughly examined by our experienced professionals to ensure their durability, reliability and long service life. Full fledged QA department & ISO 9001 certification. It is more than 3000 metric ton, so we can deliver on time. We have inhouse sophisticated physical and chemical testing laboratory equipped with ultra modern testing equipment. Inspection reports is available as per our customers’ requirements. We are a professional Aluminum alloy, Zinc Alloy die castings manufacturer,which located in the “die casting town ” of China. It’s happens to be the second largest container port in China and just a 1 hour train ride from Shanghai. CMC Foundry began as a small mold shop and with years of hard work, expanded to a full service die casting and machining facility. 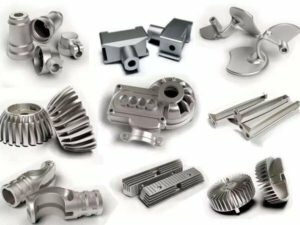 Professional manufacturer offer cost-effective Die casting,Sand casting, Investment castings services. Address: NO.717 Zhongxing Road,Jiangdong District,Ningbo,China. Copyright © 2016-2018 CustomMetalCasting. All Rights Reserved.